Personal injury law entails cases where someone has been killed or injured as a result of carelessness or negligence of another. The injury could be nonphysical or physical, and they can be used to seek monetary compensation, which is referred to as damages. Also, the plaintiff can recover both economic and noneconomic. Economical compensation include lost wages, medical expenses, and cover projected and past costs, while noneconomic damages include pain, disability, reduced quality of life, suffering, and disfigurement. Studies reveal that over 700,000 personal injury claims are filed every year in the United States, which amount to several billions of dollars in compensation for claimants. An array of situations can cause a personal injury claim, though not every case that an individual sustains injuries leads to liability. 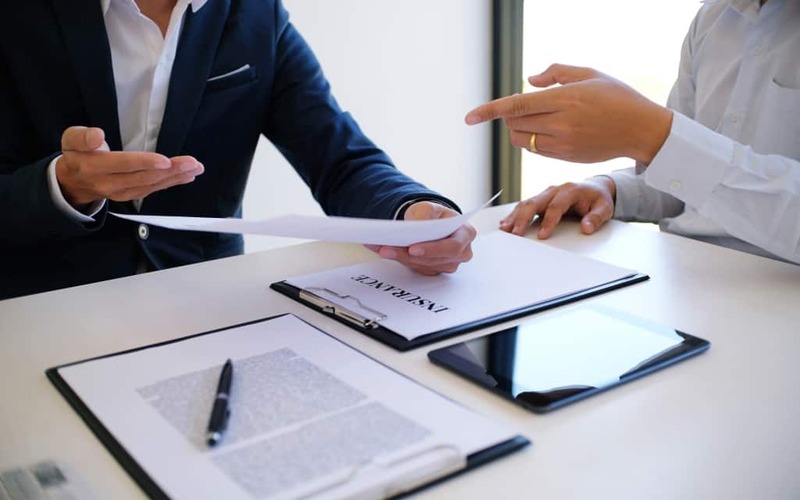 Since personal injury law entails a variety of claims, sometimes hiring Foyle Legal Lawyers Perth Personal Injury is the solution for fair presentation. You might also require medical malpractice attorneys or car accident attorneys. Research reveals that the leading source of personal injury claims is car accidents followed by work-related injuries. Vehicle accidents are the most significant causes of most personal injury claims in the US. Usually, when an accident happens, it is because an individual was not following the road rules or was driving carefully. The injury claims can arise from accidents involving pedestrians, cars, bicycles, buses, and trucks. There is usually finger-pointing in almost all vehicle accidents between the parties involved and their insurers. It is rare to point out on the fault for vehicle accidents unless in rear-end accidents where the trailing driver is mostly at fault. Most car accident claims involve vehicle damage and vehicle accident injuries and other kinds of personal injury damages, such as pain and suffering and lost income. The driver in most personal injury lawsuits is usually held liable for the damages or injuries, so he or she caters for the financial responsibilities for the injuries resulting from the accident. However, exceptions exist in some states where drivers are required to collect their insurers except when there are serious injuries. A statement that causes damage to the reputation of another individual is likely to rise to defamation level. More so, if the report was publicized or written or slander if it was spoken. A plaintiff in the defamation lawsuit should receive damages from actual injuries that he or she has suffered due to the defamatory statement. Some of the injuries that may arise from defamation include lost earning capacity, pain and suffering, disgrace, personal humiliation, and lost earnings. The negligence of hospitals, nurses, doctors, and other medical professionals usually cause severe injuries. Medical malpractice claims generally arise when health care professionals fail to offer reasonably skilled care and competent health care, and the patient suffers damages as a result. Besides, sometimes even the best doctors or nurses make mistakes. Medical malpractice claims are among the most complicated personal injury claims. Medical malpractice claims entail an array of cases such as pharmacy errors, birth injuries, which involve mistakes committed during child delivery, surgical mistakes, and failure to diagnose severe health conditions like cancer. It also entails improper treatment and misdiagnosis among others. You should hire an experienced medical malpractice lawyer if you have been injured or lost a family member or friend at the hands of a doctor or any other medical practitioner so that the legal expert can analyze the potential malpractice and pursue legal action if necessary. Your medical malpractice attorney will pursue the claim to make sure that you get compensations for the loss or injuries. The society is increasingly becoming violent, with gun-related injuries leading the list of assault claims. Unlike the other types of personal injury claims, assault claims are not from damages caused by negligence, but when an individual injures or harms another one to do so. Assault claims involve some additional aspect of criminal cases against the perpetrator. Work-related claims arise when an employee gets injured or dies as a result of insufficient training, unsafe working conditions, or improperly maintained equipment. Tens of thousands of personal injury claims are usually filed in the United States each year by employees who have been injured at their workplaces. However, workplace-related injuries in the States are under the worker’s compensation. Usually, employees who file workplace-related claims seek to get the benefit for time missed from work as well as medical expenses resulting from the injuries sustained. Unfortunately, employees are often sidelined as a result of workplace injuries. Jobs that reported the highest number of workplace-related injuries include nursing assistants, laborers and freight, material movers, and heavy and tractor-trailer truck drivers. Studies indicate that illnesses and nonfatal injuries resulting from workplace-related accidents required an average of 105 days away from work for the worker to recuperate. The law requires employers to provide benefits to injured employees including medical treatment, a lump-sum benefit for the permanent partial disability, and temporary total disability. Workplace accident claims need an experienced workers’ compensation lawyer to guide you through the process and make sure that the rights of the employee are protected. Premises claims arise when accidents occur due to defective condition or a dangerous condition on someone’s land. The accidents can happen almost anywhere including commercial properties like gas stations, grocery stores, malls, restaurants, and retail stores, a public swimming pool, and a neighbor’s home. An array of dangerous or defective conditions can result to a premises liability claim, such as tripping over or slipping on a spill in a walkway, a dog bite or falling down a staircase due to a missing handrail. Companies adhere to strict rules when manufacturing their products and testing them through several processes before they bring them to the market. However, defective and unsafe products still find their way to consumers. Such products result in thousands of injuries annually. You can make a personal injury claim if you get injured after a product malfunction. The claims can be made against a distributor and the manufacturer for the defective product.